Hundreds of technology and engineering roles will be up for grabs at BT’s Adastral Park technology campus this week as high tech companies on the site host a careers fair. This will showcase a range of careers available within the growing technology cluster. BT, Openreach, Compass and a number of other technology companies that form part of the Innovation Martlesham (IM) campus at Adastral Park, are looking to fill various roles at the high-tech Ipswich site, and in the surrounding area. The available roles range from apprenticeships, graduates and internships to senior level positions in the fields of engineering, IT, security, networks, research and innovation, and more. Attendees will have the chance to network, learn about open roles and explore the additional community activities Adastral Park has to offer. As technology roles play an increasingly important role in the local economy, the event aims to provide job seekers with the ability to explore their interests and gain an understanding of the roles on offer in their field of interest. 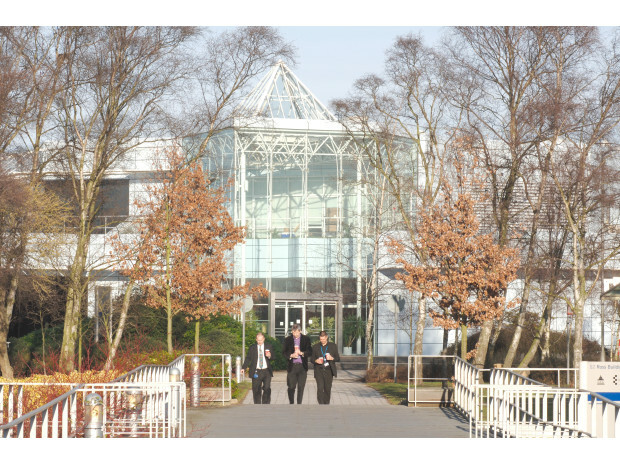 The technology campus is home to the BT Labs, BT’s global research and engineering HQ, and houses the largest network test and integration facility in Europe, making it an exciting place to start a technology career. From people who are curious about technology to those who already possess high technological abilities and everyone in between, the event allows people at any stage of their career to consider a role at Adastral Park. The event, to be held on April 24th, will give attendees the option to choose one of 3 time slots to engage with potential employers from across the 100 acre site. Representatives from the various onsite facilities will also be available, including gym trainers and representatives from recreational clubs, to answer any questions about the Adastral Park community. Visitors will also get the opportunity to take a tour of BT’s innovative technical showcase, giving them an insight into the future of retail, industry, healthcare and more.